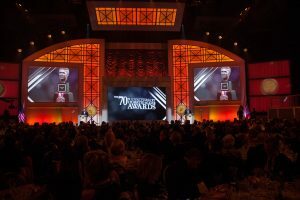 The Annual Horatio Alger Awards are a three-day celebration held each spring in Washington, D.C. During these events, usually 10 to 12 individuals are inducted into the Association with the presentation of the Horatio Alger Award. 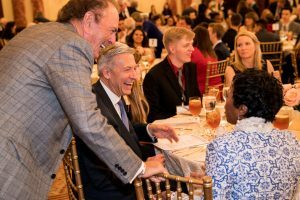 Concurrently, the newest class of Horatio Alger National Scholars are recognized for their determination in spite of personal adversities. 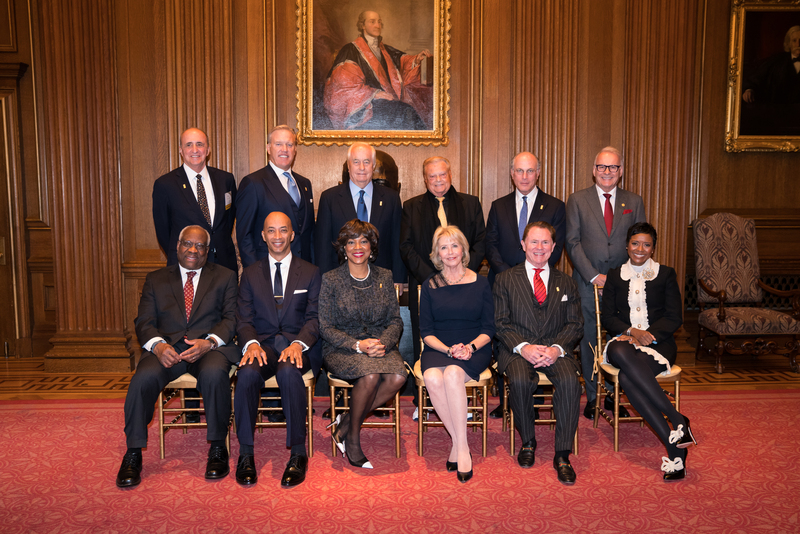 Inaugural Reception and Ceremony: The Horatio Alger Awards events start each year with a reception and ceremony hosted at the U.S. Supreme Court. During the ceremony, the Award recipients are presented with their Horatio Alger medallion and the newest class of Horatio Alger National Scholars are introduced and saluted by participants at the event. 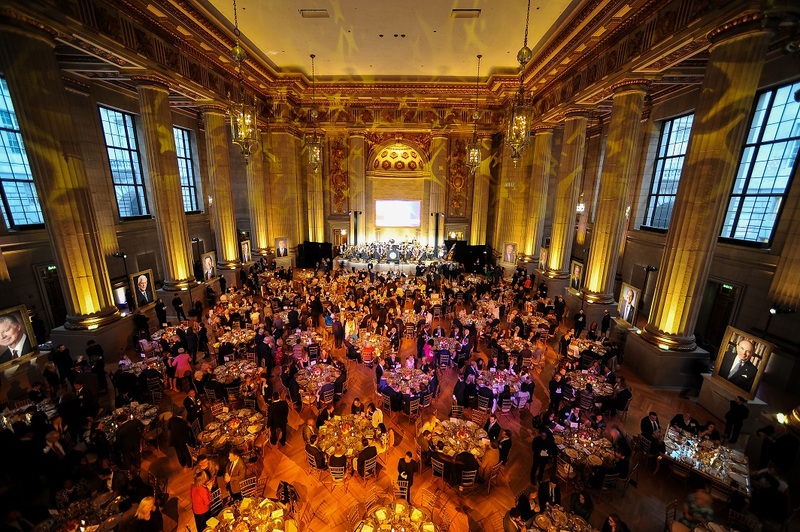 Inaugural Dinner: The Inaugural Dinner, which will take place at the National Portrait Gallery in 2019, is a festive evening that provides an opportunity for Members and Life Partners to meet and welcome the Horatio Alger Award recipients. 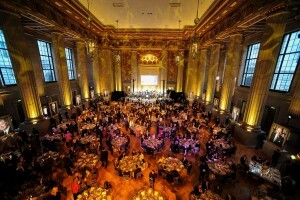 The event also provides a forum to focus on recent progress made by the Association and to provide special tributes. Meet the National Scholars Breakfast: This breakfast is the first opportunity for Association Members and Life Partners to become acquainted with the National Scholars. The Scholars also receive encouragement and advice during a keynote address provided by one of the Members. 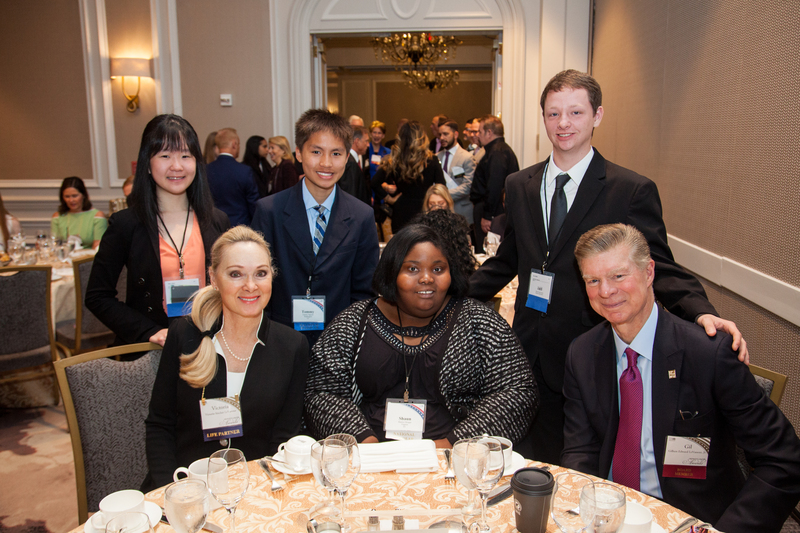 Members Luncheon: The Members Luncheon features remarks from current and Alumni Horatio Alger Scholars and serves as an additional opportunities for Members, Life Partners and Scholars to engage. 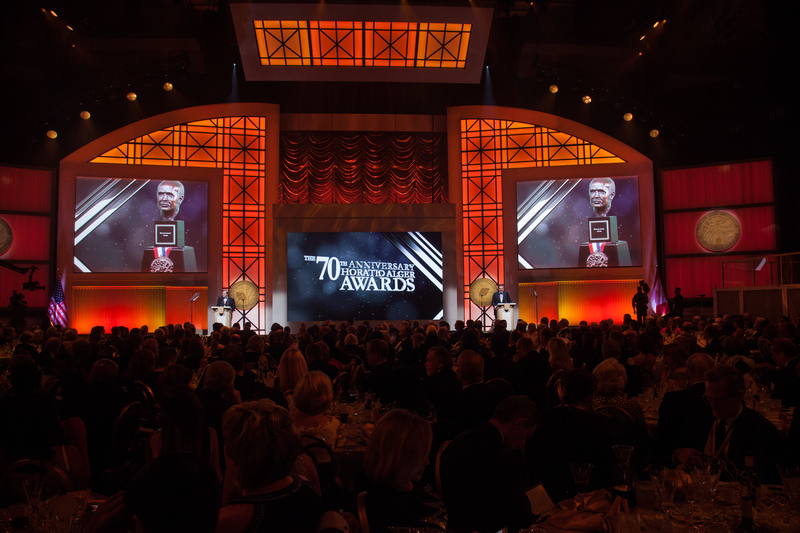 Awards Induction Ceremony: Hosted in recent years at DAR Constitution Hall, the Awards Induction Ceremony is the high-point of the annual Awards celebration. 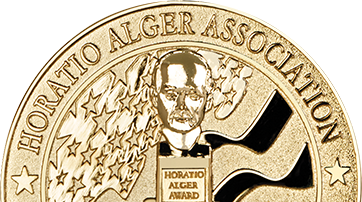 During this formal event, the honorees are inducted as new Members when they are presented with the Horatio Alger Award. Their acceptance remarks and video biographies about their life experiences are the basis for an inspirational evening highlighting the merits of free-enterprise and personal ingenuity. 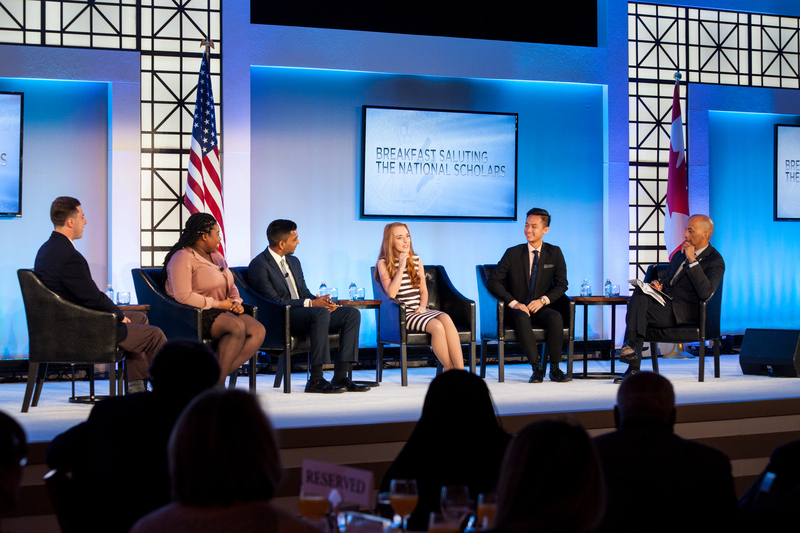 Salute to the National Scholars Breakfast: This breakfast is an uplifting conclusion to the annual Horatio Alger Awards events. 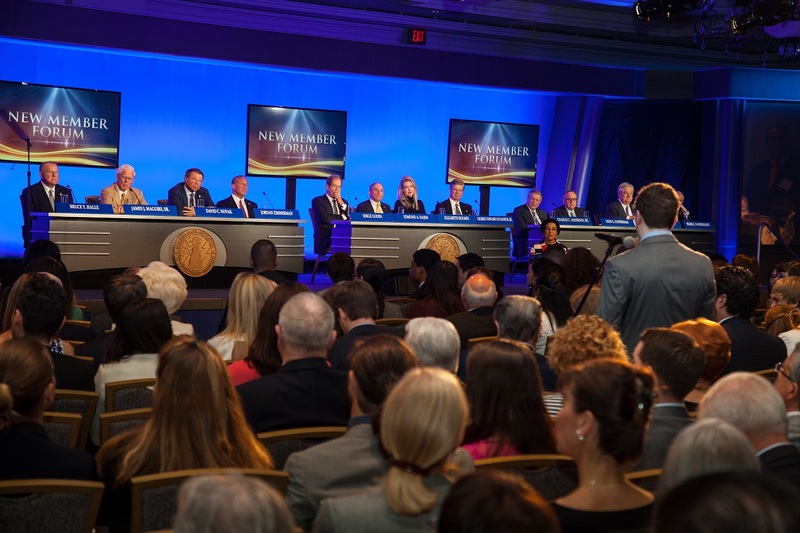 During a panel session, Scholar representatives discuss the positive impact the Association has had on their lives, and share with Members and Life Partners their plans for the future.